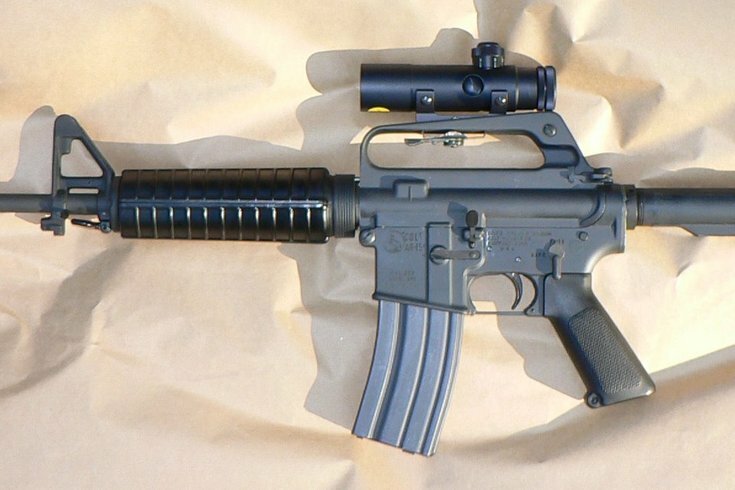 A Colt AR-15 Sporter SP1 Carbine. A church in the Pocono Mountains is inviting couples to bring their AR-15-style rifles to be blessed in a ceremony, according to a report. Sanctuary Church and Rod of Iron Ministries, an offshoot of the controversial Unification Church, had planned the Wayne County ceremony before the mass shooting at Marjory Stoneman Douglas High School in Parkland, Florida last week, WNEP/ABC Newswatch 16 reported. Area residents are concerned that the ceremony will be held during a school day just down the road from Wallenpaupack South Elementary School, and state police has asked the church to explain the ceremony, according to the report. The church invited worshippers and encouraged them to bring an AR-15, which it called the "rod of iron." The church expects 600 people to turn out for the ceremony, and many of them are expected to be armed with AR-15s, according to the report. "This will be a big thing for us. It's a new stage for us because it incorporates the rod of iron, as it is in Revelations," a church leader told the station. "Revelations talks about the returning Christ ruling with the rod of iron." The church is led by Sean Moon, the son of the late Sun Myung Moon, who founded the Unification Church. The church, whose members were known as the Moonies, was accused of brainwashing its members in the 1970s. Rod of Iron leaders told WNEP that the AR-15s will not be loaded for the ceremony, and that zip ties will be used to prevent accidental fire. AR-15s have been used in five of the six deadliest mass shootings of the past six years in the United States, including the Parkland shooting.